Physically strong, competitive and disciplined two footed midfielder with a diverse passing range who rarely loses possession. 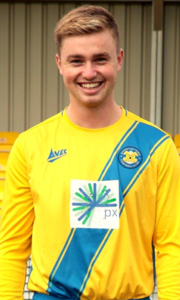 Becoming a dead ball specialist and was 2017-18 Managers Player of the Year for both Stockton Town and Seaham Red Star. Recently had trials with Sheffield Utd and has featured in pre season for Stockton Towns first team.